With regulations for the Britpart British Cross Country Championship now announced there has been a high level of interest from competitors planning to race in it. The latest crew to announce their plans are Chloe Jones and Tom Gray who intend to contest the championship in their Muk Junkie and North West Performance-supported QT 88. Jones contested the Hill Rally Championship in 2018, finishing first in class 7. She also navigated in three Baja events. 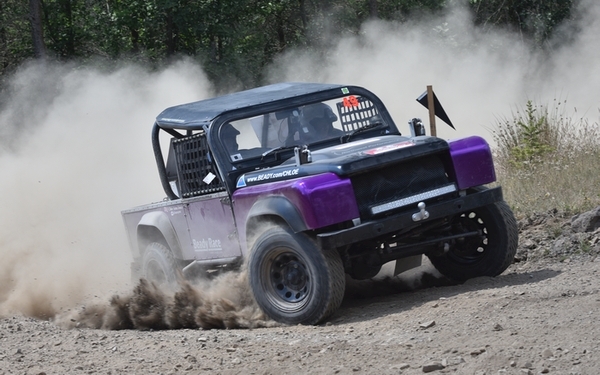 "We'll be using the same car that we raced in the hill rallies last season," said Jones. "It will be both mine and Tom's first time competing in the British championship so we're really excited about it, it looks like it'll be a great series of events." The championship starts in April with the first round taking place at Walters in South Wales.